Enter our Competwition by clicking HERE!! The winning entry will be chosen at random on 12.12.12 & a set of 6 assorted Christmas Sparkle charms will be sparkling across to you in time for Christmas Day!! Wow! So where did this year go?!? Less than one month now until Christmas Day so we have put all our last posting dates & times up for you to check. It covers worldwide & UK. You can find them all in our Delivery Page. All orders are going out 1st class & within 24 hours of ordering at the moment. We're working round the clock to maintain this for you too! We'll email you as soon as your parcel leaves us & is in the hands of the Royal Mail. It's a busy time for the Royal Mail & they do say to allow slightly longer for your goodies to get through their system, but rest assured they are leaving Sparkle HQ in superfast time! If you have any queries or want to double check anything when you order, just drop us a line via any of the options on the 'contact us' page. 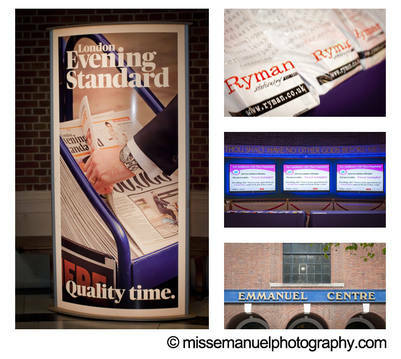 Way back at the beginning of June, I received a call from the effervescent Louise Henry who is Head of Events at The Standard, Evening Standard, Independent & I newspapers based in London. 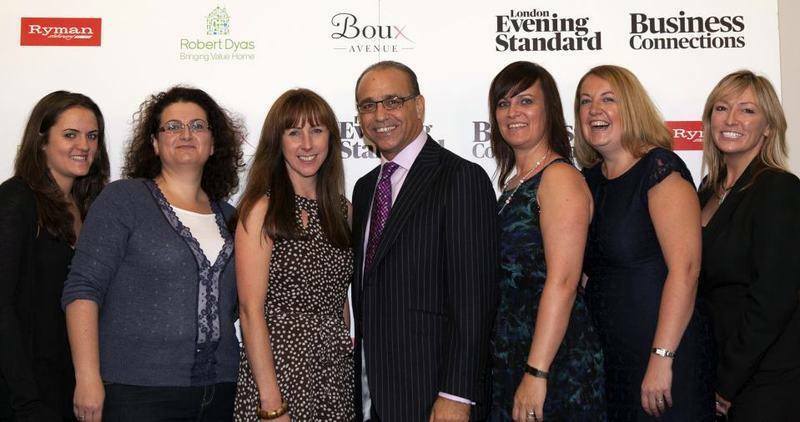 Louise was organising the 4th Evening Standard Business Connections event to be held on September 26th 2012 at the Emmanuel Centre, Westminster, with none other than our (by our, I mean the nations) much loved BBC Dragon, Theo Paphitis. Well, it didn't take too long to say yes please I'd love to be there!! 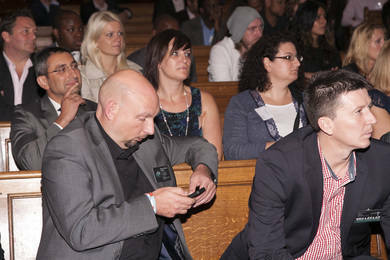 Initially we were just attending as #SBS winners (Theos Small Business Awards) and delighted to say the least! 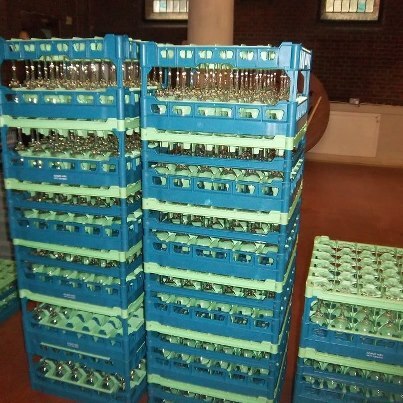 Then after a bit of Facebook banter I mentioned bringing along a small bucket full of charms and next thing, hey presto, we were sparkling 500 glasses for the after party!! The day began for us at 3pm with the dressing of the 500 stems as soon as Fizz Catering had dropped off the glasses. With the help of 2 fabulous gals, Tiff & Sara plus Louises gorgeous assistant Lauren, we began what seemed a mammoth task in the timescale we'd been set. No sooner said then done though & with the nimble fingers of these lovely ladies we were done & dusted faster than the speed of light. This meant we were able to then help out with the actual event itself including greeting & seating the attendees & of course meeting the lovely Theo himself once again. Things ran like clockwork under Louises watchful eye & Theo took to the stage with James Ashton, Business Editor of the Evening Standard, Standard, Independent & I newspapers, for a brilliant & totally off the cuff interview. Next came the Q & A session opened by moi!! 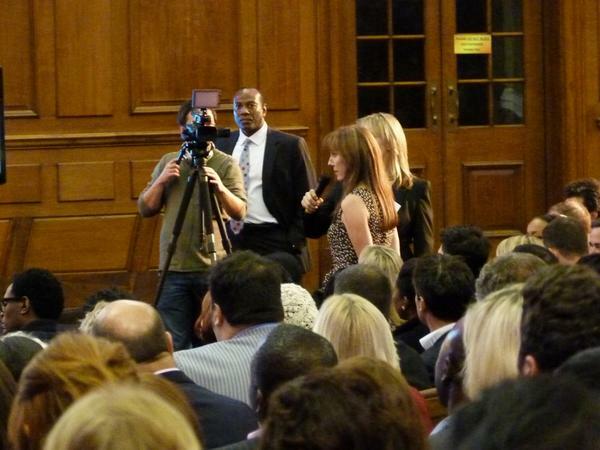 More nervous & excited than a box of frogs, I just about managed to get my question out whilst being held up (literally!) by the lovely Louise! I now wonder what on earth I was so nervous about! As soon as I was finished, my heart returned to its normal beat, my shaking stopped & I wished I could do it all over again! Theo is a kind hearted fella with a lovely smile that really didnt warrant my nerves! I love what I do and am totally comfortable talking to you all about our sparkles, but large crowds, press, celebrities & videographers are a thing of long ago! Running a business around a family brings so many distractions & constant changing of hats that you kind of forget about how it used to be in the 'real world' a million eons ago. I surprised myself by how out of place I felt to start with, but also by how quickly it fell right back where it used to be & how much I've missed the buzz of it all!! As I sat back down, Louise jumped to her feet & mentioned to everyone that they would be seeing our sparkles with their post event drinks & Theo led the entire auditorium in a round of applause!! I think that was probably the highlight I will never ever forget! The Q & A's continued & in fact overran owing to the fact that Theo is so open with his responses & keen to answer any question at all....no pre-empting, nothing staged, just plain honest talk. Funny, engaging & charismatic.....if you only hear one person speak about business, make it Theo! 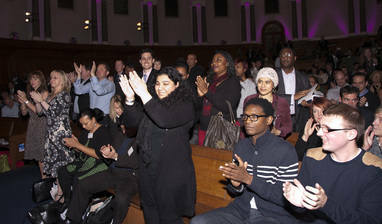 After the Q & A's we all moved into the upper hall of the Emmanuel Centre for wine & a light buffet. The comments from our fellow attendees were just lovely & it was fabulous to put faces to so many people we tweet with on a daily basis. My gorgeous helpers Rachel from Wedding Belles Bridal Boutique, Maria from Angel Mazz All That Glitters & Sara from Miss Emanuel Photography then helped remove any left over charms (needless to say, we happily lost one or two to the wonderful sparkle-appreciative attendees) & we finally sat down with a large glass of chilled wine each & big smiley faces. 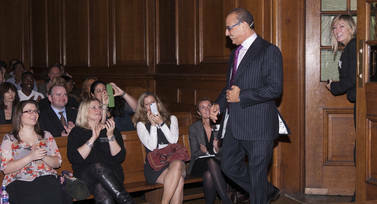 Another day with Mr Paphitis that will remain with me forever & this time included some wonderful friends both old & new. I can't thank everyone enough that helped out on the day in all manner of support & my biggest thank you goes to the amazingly energetic Head of Events, Louise Henry without whom we would never have been involved. A 3 minute clip of the evening can be viewed here & you will also find information about upcoming Business Connection events on this link too. Dont forget, we are taking bookings for 2013 events & your date can be secured with a small deposit. April is almost full as I write this & August is not far behind so ask for a no obligation quote asap!! Original, unique & made only with Swarvoski crystals, our wine glass charms are also available in sets of 6 making them great little treats for yourself or gifts for friends with prices starting at just £12.95 per set of 6 delivered! I look forward to personally welcoming you to our online store & please don't hesitate to contact me if you need any help whatsoever. This was a lovely message posted by Louise Henry, Head of Events at the Evening Standard that I wanted to share with you. I can't tell you how excited we are to be a part of this event & there are a few tickets left if you would like to join us! 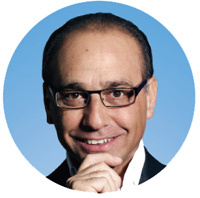 An Evening with Theo Paphitis (from Dragon's Den) on 26th September. What marks this as an extra special occasion is that in March, Miki was chosen by Theo from 2,000 entries to win a small business award, an incentive scheme he set up on twitter to support SME's. Theo is really pleased that Miki will be supporting the event with her specially made (in ES colours) wine charms. If you run your own business and want to know how to grow it to the next stage then come along. You will meet Theo, hear his advice as well get a chance to as ask him your questions. Over 750 SME owners/directors have already booked their tickets so this will also be a great opportunity to network and meet fellow attendees - maybe form new partnerships. 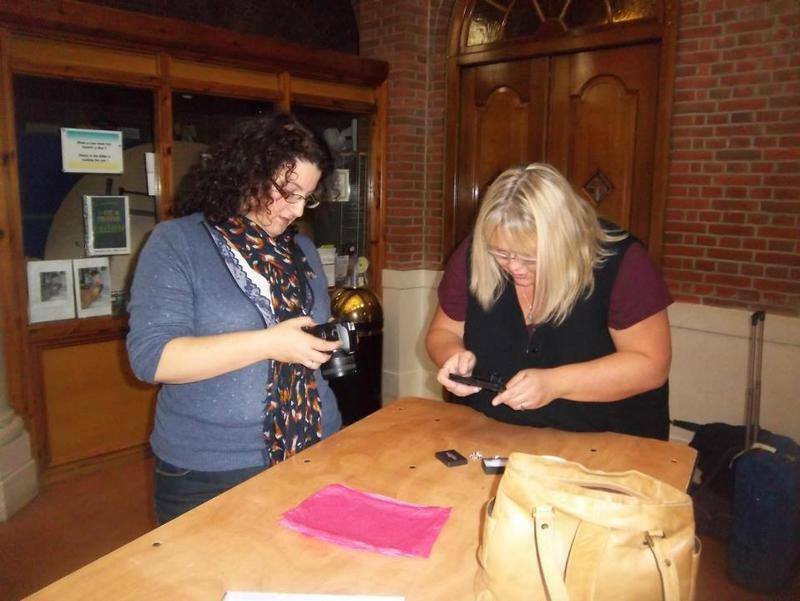 Ryman and Robert Dyas are also supporting the event and will be bringing goody bags and special offers. Hope to see you there, it's going to be a great night! 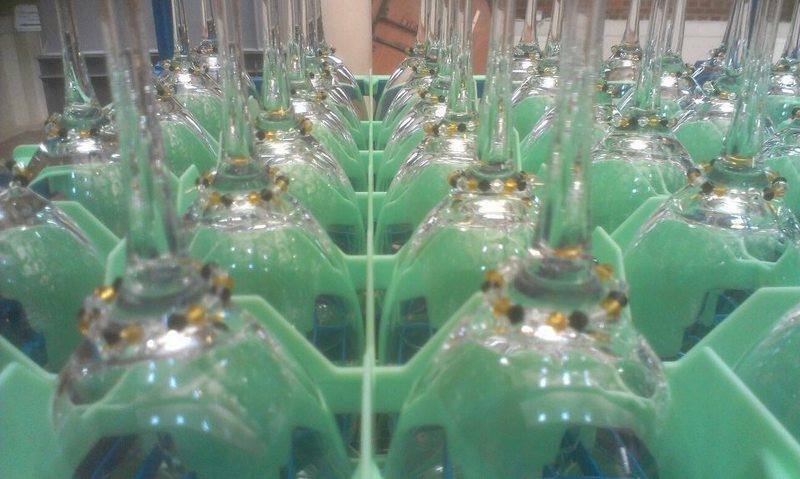 We are caught up with Olympic fever here & wanted to make sure those glass stems are sparkling whilst we are all glued to to the tellybox!! 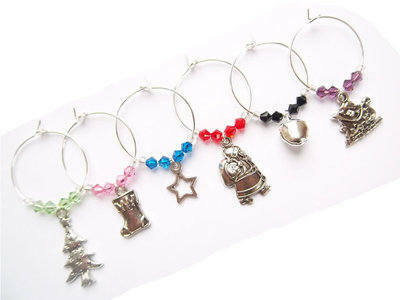 For 1 week only, we are reducing the price of ALL our sets of Themed Demi Wine Glass Charms by 10%!! Hurry though as the week runs out at midnight on 5.8.12!!! We are super excited to tell you about this fabulous upcoming event! 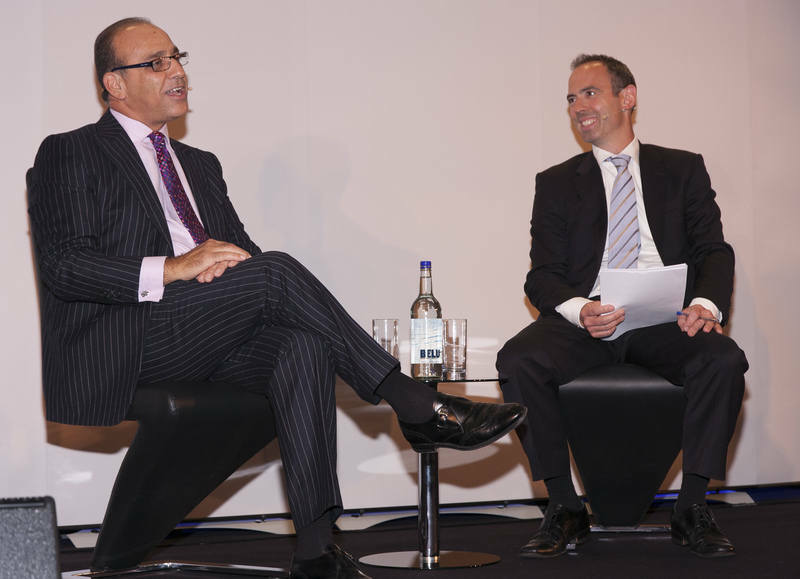 Its being held by the Evening Standard in Westminster on Wednesday 26th September 2012 & features none other than our very favourite Dragon, Theo Paphitis!! Theo is a truly inspirational speaker so we know its going to be a wonderful evening & we may have a little personal surprise for you also.....more details to come!! We're meeting up with some very talented people so its going to be an amazing networking event!! There's been a-rumblings of extra sparkle here at Sparkle HQ for the past few weeks whilst we perfected our latest wine glass charm set. 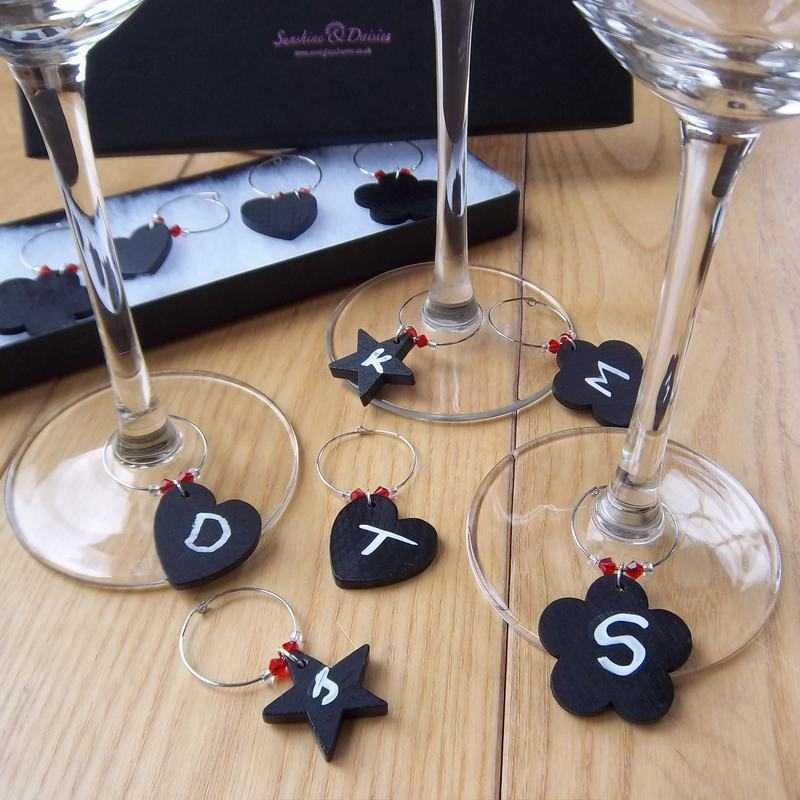 Finally, and with much excitement, we were able to reveal all yesterday when we launched our latest product....Blackboard Wine Glass Charms! We've put these in packs of 10 so you should always have a couple spare for smaller gatherings & it makes them easy to order for larger events. At just £22.95 per pack they include a box for storage & free delivery too! Made from gorgeous little wooden shapes, they are then coated with a blackboard covering & given a touch of sparkle with Swarovski crystals. The shapes currently are hearts, stars & daisies & we hope to add to these in the future. You can of course choose which colour Swarovski you would like from our house colours making them a truly unique set! The possibilities are endless so please do share your ideas with us! So far we have initial, numbers, pictures & shapes with ideas for using them as teacher gifts (we sell single organza bags which are perfect for dividing the set up if you wish), weddings & dinner parties. Just scribe your chosen idea with ordinary blackboard chalk which can then be wiped off & re-used over & over again! We have Pentel wet erase chalk markers available which are semi waterproof so can be used for outdoor events (being semi permanent they are slightly harder to remove & may require non-bleach household cleaner).